Mothers's Day is coming up May 14! 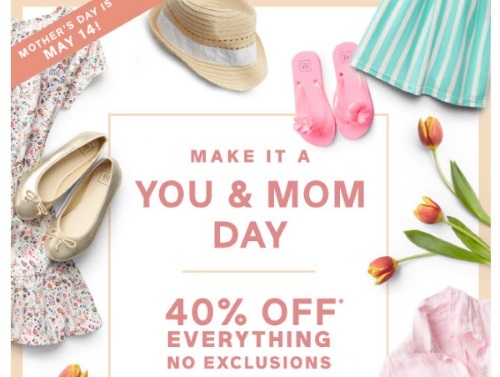 Get your mom something nice during Gap's 40% off everything sale! Enter the promo code GAPGIVE at checkout to get the discount online. No exclusions. Offer is valid April 26-27, 2017.